China is situated in eastern Asia on the western shore of the Pacific Ocean, with an area of 9.6 million square kilometers. China’s continental coastline extends for about 18,000 kilometers, and its vast sea surface is studded with more than 5,000 islands, of which Taiwan and Hainan are the largest. Eagerly assuming its place among the world’s top travel destinations, even more so since Beijing took centre stage at the 2008 Olympics, China is an epic adventure. From the wide open and empty panoramas of Tibet to the push and shove of Shànghǎi, from the volcanic dishes of Sìchuān to beer by the bag in seaside Qīngdǎo, a journey through this colossus of a country is a mesmerising encounter with the most populous, perhaps most culturally idiosyncratic nation on earth. The country of China has one of the oldest continuous civilizations in the world. China has one of the oldest writing systems that is still in use today. The language is widely used in almost every Asian country. China is also home to many inventions that are commonly used all over the world. Toilet paper, the compass and gunpowder are just a few examples of the many things that were invented in China. Dragon boat racing is a popular sport in China. The races take place during the Duan Wa Festival. The festival is held on the fifth day of the fifth full moon, which is much like the holiday of Easter. The Duan Wa Festival is one of the largest in China, drawing record numbers of tourists from all over the world. 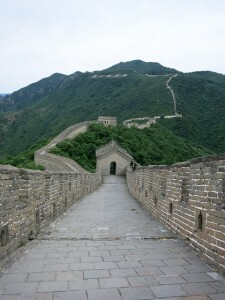 The Great Wall of China is one of the eight great medieval wonders of the world. The stone and earthen wall stretches over 4,000 miles across China. The wall was built to keep invading countries out of China. It was constructed by soldiers, villagers, and prisoners. The wall is a prime example of the tenacity and the intelligence of the Chinese people. Making a trip to at least one part of the Great Wall, would be a fascinating opportunity to experience when visiting China. In the center of Beijing, is the Forbidden City. It keeps a watchful eye over the inhabitants. The construction of the palace was started in 1407, the fifth year of the Ming dynasty. The Temple of Heaven is seen as the most holy of Beijing’s imperial temples. It has been described as “a masterpiece of architecture and landscape design”. The Temple of Heaven was where the emperor came every winter solstice to worship Heaven and to solemnly pray for a good harvest. Since his rule was legitimized by a perceived mandate from Heaven, a bad harvest could be interpreted as his fall from Heaven’s favor and threaten the stability of his reign. So, it was not without a measure of self-interest that the emperor fervently prayed for a very good crop. The exiting city of Shanghai is a virtual shopping paradise. The bustling city is also home to many attractions such as, the Shanghai Museum, Yuyuan Garden, Huangpu River, and many old streets and lanes. As wonderful mementos and gifts for your friends and relatives, special merchandise of various kinds, including Chinese silk, tea, antiques, paintings and calligraphy, Chinese medicines, jade and pearls, handicrafts, among others, are always available for your choice. Different Chinese cities have different local specialities: Beijing is noted for cloisonne enamel and fresh water pearls; Shanghai is renowned for jade; Xian is celebrated for antiques and rugs, while Guilin is famous for scroll paintings and bijouterie. 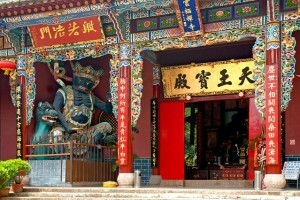 Particularly, Suzhou and Hangzhou are well known for silk and tea. All will provide plenty of ideas for fulfilling your shopping trip. Spread over such a vast area, China is subject to the worst extremes in weather, from bitter cold to unbearable heat. The land can be roughly divided into the following climatic regions: north and northeast, northwest, central, south and Tibet. In northeast China, summer is short but there is much sunshine, while winter is long and cold. Precipitation is limited in northwest China where it is cold in winter and hot in summer. In southwest China of low latitudes, the land is elevated high, and has characteristically vertical seasonal zones. Major public holidays can make travel difficult, and sights can be crammed with vacating Chinese. Manoeuvring around China with 1.3 billion others at Chinese New Year can be daunting, but you also get to see the country at its most colourful and entertaining. Hotel rates become very expensive during the May Day holiday (now a week long from 1 May) and National Day on 1 October (likewise a week long), and train tickets can be difficult to procure. The official currency in China is the Renminbi (RMB or CNY) or in Chinese “Ren-min-bi”. The basic unit is the yuan (also known as “kuai”), which equals 10 jiao (or “mao”), which is then divided into 10 fen. Paper currency comes in 1.2,5,10,50 and 100 yuan notes. Paper jiao come in denominations of 1, 2, and 5. There are also 1 and 2 fen notes, but these are rarely used as they have no purchasing power. 1 yuan, 1 and 5 jiao, and 1, 2, and 5 fen coins are even common used in larger cities.